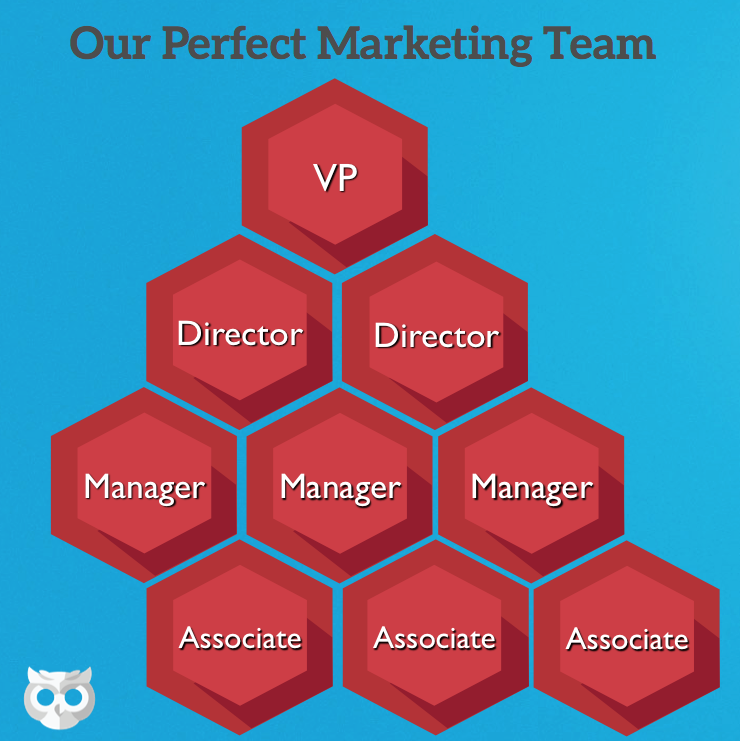 How do you build a digital marketing team? Question: How do I build a digital marketing team? One of my big tasks for next year is to create a plan for how we would scale our digital marketing team. This involves recommending a budget, the staff details and setting hiring priority for the next two years. Any help you can provide would be really helpful! 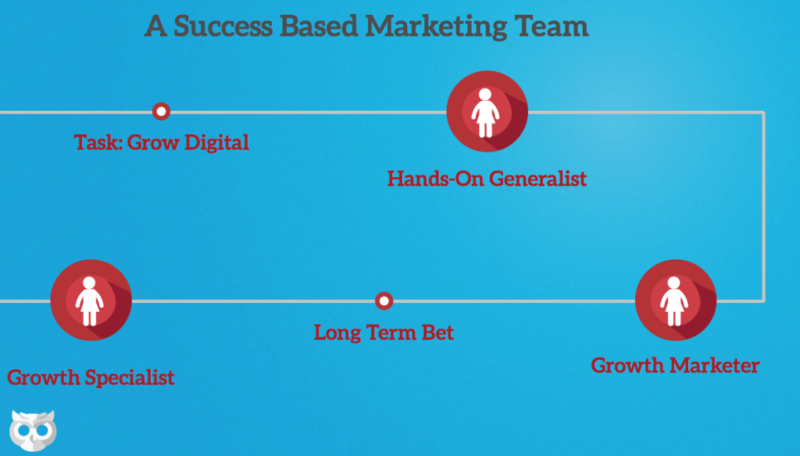 Building a digital marketing team sure seems overwhelming! Here are several steps that you can take to frame up your digital marketing dream team. Make your superiors look good! Recommending a team structure without top-down endorsement will likely get you nowhere. Since you do have endorsement from your superiors at the organization, you want to make sure that they look good. You need to prepare a thorough recommendation and leave no stones unturned. Make sure you understand the motivations of the person who asked you to perform this task. Also understand their potential objections to what you have to say. The more proactive you are with your recommendation, the better chance you have of succeeding. Your chances of succeeding are proportionate to how well you meet company expectations. Ask yourself: What does your company have to gain from your recommendation and how much will it cost to put in place? A simple calculation: building a digital marketing team will gain approximately $X in revenue. It will cost the company approximately $Y to achieve. If the revenue is higher than the costs, your plan has an above average chance of getting approved. If your revenue is lower than the costs, your plan is already dead. How does one determine how much money you can make by building out a digital marketing team? That’s the hardest part; predicting the future. You need to prognosticate the future of the business. And you need to be confident enough to put your name on it. Where to start with predicting the value of a full digital marketing team? In this this exercise, you draw a picture of what your ideal digital marketing department will look like. Map out the roles that you need. Determine the levels of expertise within each role. Put it all together with a hierarchy/reporting structure and develop an organization chart. This exercise will paint a picture of the ideal marketing organization to fit your needs. This will be a combination of individual contributors and managers for your department. It may be worthwhile to list outsourced resources needed to execute the perfect marketing plan. This is what I would consider a classic approach to the problem. An academic view of marketing like you would find in a college marketing class. If someone put a gun to your head and held you accountable for growing the revenue, what role would you hire for? Would it be someone to manage the department? Would it be a project manager? Would it be a specialist with a rigid skill set? It wouldn’t be any of the above. I would choose someone who can do many tasks well and make an impact by using their diverse skill set to complete the marketing process. This person would be able to write good content. They would be able to make updates to the website (maybe even know a little code). They would study analytics daily and deliver email campaigns. The results would keep them motivated to keep on growing revenues for the company. Revenue would start to roll in. With that individual in place, you should be able to show a positive revenue impact, likely enough to add another team member. Who you choose next is what will likely define your entire team building process. What level of hire should you make? A senior marketer who can manage the tasks of the team? A growth hacker to help you take things to a new level? Your department is too small to need management, so I would not hire anyone who can’t get their hands dirty by executing tasks. I would focus on a hire that helps you create a recurring revenue creation machine. These roles would involve PPC advertising, email auto-responders and landing page development/optimization. Investing in these tasks today sets you up for positive revenue gains well into the future. A profitable PPC campaign prints money in a predictable manner. Email auto-responders make you money in your sleep. Landing page optimization makes the above even better. To reach your goals, you can choose a marketer with diverse skills (pretty good at all these items). Or you can choose a specialist who is superb in one of these skills. Which marketer would you choose? a) The diverse skill-set marketer is the appropriate hire if your department will peak at 3-4 people. b) The specialist is the appropriate hire if you think the department will continue to grow. There is no wrong answer to this question, but it will impact your future options. Assuming that the first two roles lead to revenue gains, you will be allowed more hires. First hire a pure-profit driven role (direct response tactics like PPC/Email/LPO). Second, invest in a resource that focuses on long term revenue growth strategies. This includes Organic Search, Social and Earned Media. Alternate between short and long term revenue generation until you reach peak effectiveness. This approach allows you to reinvest your short term profits into long term building blocks. This may seem like a “how to” on building a marketing department. This could also be a “how to” be strategic in building an entire business. This is what a bootstrapped startup or lean marketing organization would do to build sustained growth. The toughest part about this approach is that not every activity will be equally profitable. That and not every hire will be a good employee at all phases of your organization. You may find that the first hire you made (A generalist with diverse skills) might not fit in with a team of specialists. This is what happened to me when I built out digital marketing departments in the past. As your marketing organization matures, individuals you hire will not mature at the same rate. Some of your early employees will move-on as roles become more formalized. This is a natural phase of the growth process. Yet when built out in a thoughtful manner, your organization will be strong enough to survive well into the future. Without knowing all the details of your situation, here is what you should consider for your plan. It is the year 2015, and your company is just now building out a digital marketing team. We are now 21 years into the online revolution, and your company is just getting started. This puts you in the second recommended group above (start with first hire and move forward). Otherwise you would already have the department fleshed out. If it has taken this long to build a digital department, it is safe to say that you won’t jump from 1 employee to 20 employees in two years. That means mapping out the perfect marketing department is likely a futile exercise. It is an unrealistic outcome given the circumstances. I recommend creating a wish-list of roles that you would like to fill. Start with the most important revenue maker, and then grow the list from there. You will need to try and predict the future by projecting how much revenue will come from each role you add. Then you will fill out the team based on those projections. The person who assigned you with this task is the key to your success. Make sure that you inform them about your findings throughout the process. Don’t wait until the end to share your recommendation with your sponsor. If you present them your findings without context, it will not meet their expectations. Early check-ins with your sponsor help you fine-tune your recommendation. And as a bonus, it gets them more invested in your plan! Remember: you won’t be the one selling the plan into the organization alone. Recommending a team structure without top-down endorsement will likely get you nowhere.